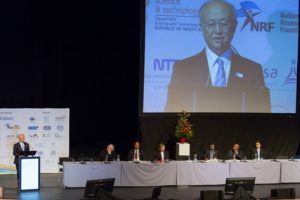 The 14th International Congress of the International Radiation Protection Association (IRPA14) was hosted by the Southern African Radiation Protection Association and South African Radiation Protection Society at the Cape Town International Convention Centre in Cape Town from the 9th to the 13th of May 2016. One thousand participants from 68 countries attended this congress and it proved to be an excellent opportunity to communicate the achievements, scientific knowledge and operational experiences in radiation protection. The congress theme was “Practising Radiation Protection: Sharing the Experience and New Challenges”. The programme shared practical and theoretical knowledge, and highlighted new challenges and how best to handle them and addressed three major topics of the radiological protection system; Fundamental Science; Policy, standards and culture and Practical Application. 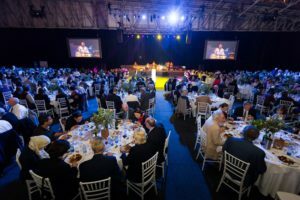 The Programme structure took the form of morning plenary sessions followed by six concurrent parallel sessions over four days, the final day of the congress celebrated 50 years of collaboration in Radiation Protection with Keynote lectures and panel discussions. Six refresher courses took place every day before the morning plenary session. 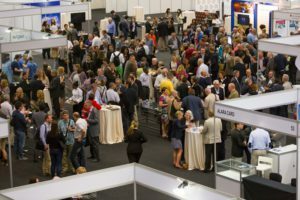 A technical trade exhibition gave delegates the opportunity to sample the latest technical developments in all of the fields in which radiation protection is playing an active role and gave them access to new products and services available from commercial companies and organisations. Delegates enjoyed half day and full day tours in Cape Town and its surrounding areas visiting District Six, Cape Point, Table Mountain and the beautiful winelands amongst other sites. Pre and Post overland tours visited the Garden Route, Kruger National Park, Private Game Reserves, Victoria Falls and Zimbabwe. Technical Tours visited Koeberg Nuclear Power Station and the South African Nuclear Energy Corporation.